Ask fellow campers about "Chateau Aux Arc RV Park" and nearby attractions. To be clear this is not an RV park. There are about 10 to 12 gravel and dirt pads all except one of which are long term travel trailers. Low hanging branches scraped top of coach getting in. Sites are at least one mile from winery of same name. If you reach the winery you have passed the RV sites by about a mile. The house on site has nothing to do with the RV sites. Sites are about one half mile from I-40 and winery is another mile up the road. 50 amp service failed at 2 a.m. No personnel on site but friendly folks on the phone at winery where you call to reserve at site. The winery looked pastoral, nice, and pretty upscale as we drove by it looking for the RV "park." Chained up pit bull 2 sites down. Beautiful part of the U.S. We camped at Chateau Aux Arc RV Park in a Motorhome. Extremely disappointing. 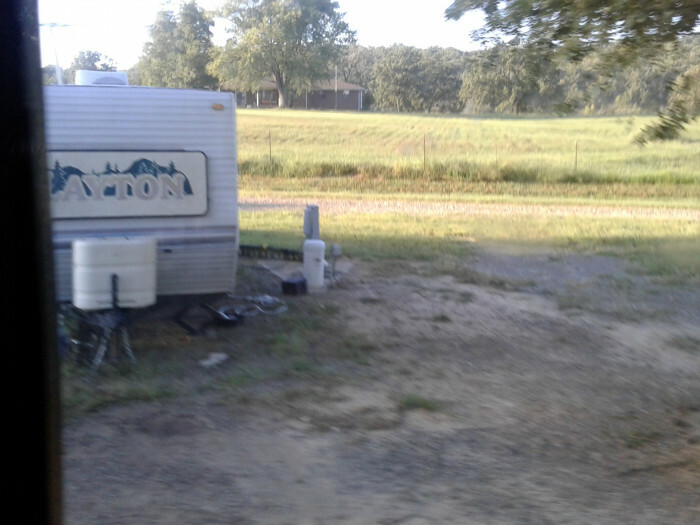 Poorly maintained and all the characteristics of a gritty trailer park. Piles of dog poop littered our site and the trash dumpsters overflowed with trash. Never again! 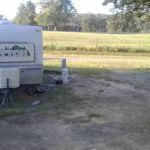 We camped at Chateau Aux Arc RV Park in a Travel Trailer. We arrived with another party-- both traveling in motorhomes-- during a strong rainstorm. Most sites were flooded and the power/water/sewer connections were underwater. Once the rain stopped, we attempted to hook up. 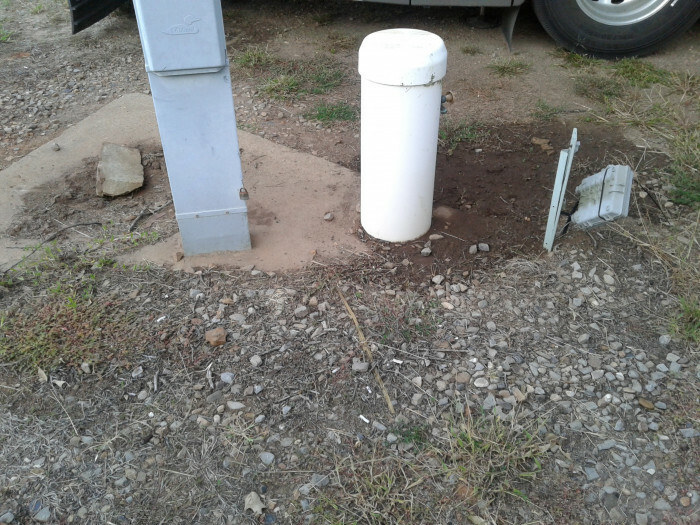 Of the six sites available, only one had useable power-- 30 amp only and only one site had a functioning sewer connection (all the rest were filled with dirt and totally plugged up). 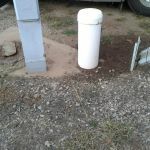 The other motorhome traveling with us hooked up their sewer and water at one site and their 30 amp power at another site. We dry camped for the night and then we both left in the morning (although we had planned to stay for three nights originally). The lady in the office was very nice and only charged us $10 to dry camp for the night. We camped here in a 40 foot motorhome. We will not return. FYI: The entire campground is for sale and the sign has it listed at $195K. We camped at Chateau Aux Arc RV Park in a Motorhome. This is a very small park owned by one of the local wineries, but it's a mile or so from the tasting room. It's very convenient to the heart of Arkansas wine country. This is a no frills, small park but the utilities work fine and it's convenient to I-40. The sites and roads are gravel but they're level in an otherwise very hilly area. All 12 sites are identical pull through sites, plenty long enough for our 40' RV. No shade, no amenities, just well taken care of and convenient. 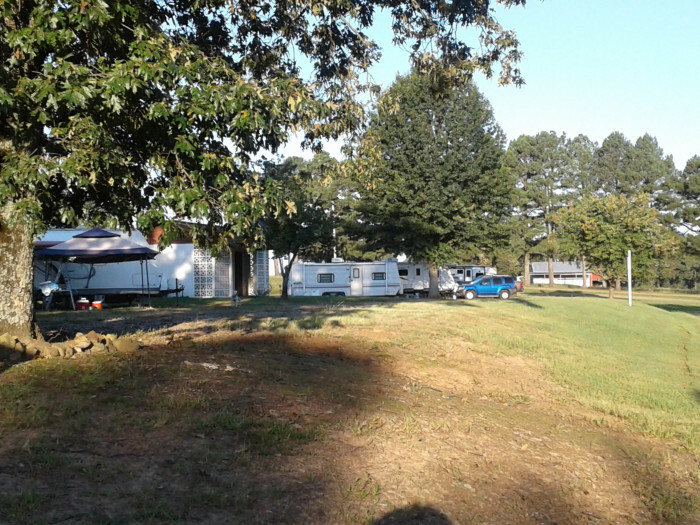 We camped at Chateau Aux Arc RV Park in a Motorhome. 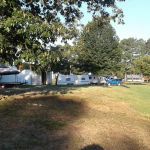 Are you affiliated with Chateau Aux Arc RV Park ?